Let's see what I can find to feed your eyes this week. 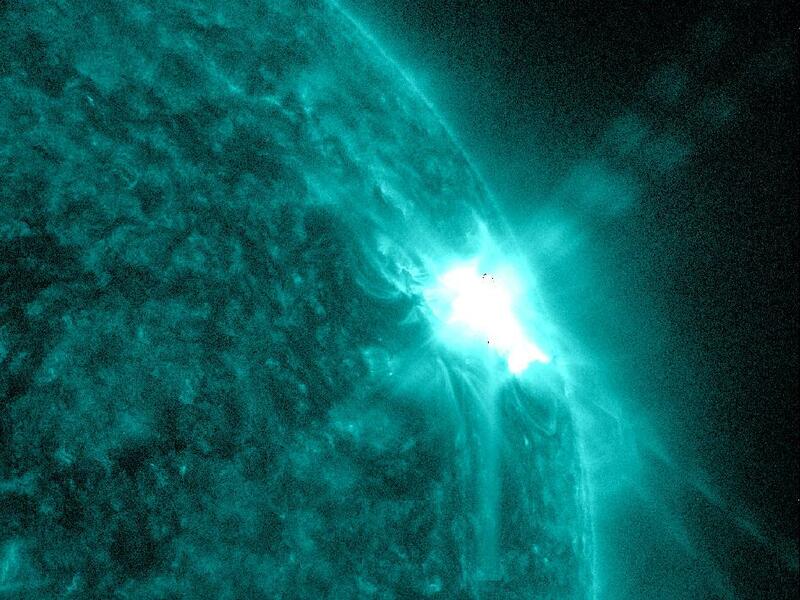 Sunspots and Solar Flares from NASA. Big one from March 13th. 25 Unbelievable Pictures Of The Tornadoes That Hit The Dallas/Ft Worth Area from Buzz Feed. Spliced Family Photos From Two Different Times In Life from PetaPixel. Stunning Macro Photos Of Dewdrops On Dandelions from PetaPixel. Photography Cliches by Peter Timko. Puerto Rican Potato Salad made by yours truly. It contains potatoes, apples, eggs, and mayonnaise and that's all. (You mix the cooked egg yolk with the mayo.) Easy and so Yummy! Daughter's No-sugar Carrot Cake. We found the recipe online. I thought it came out pretty good!